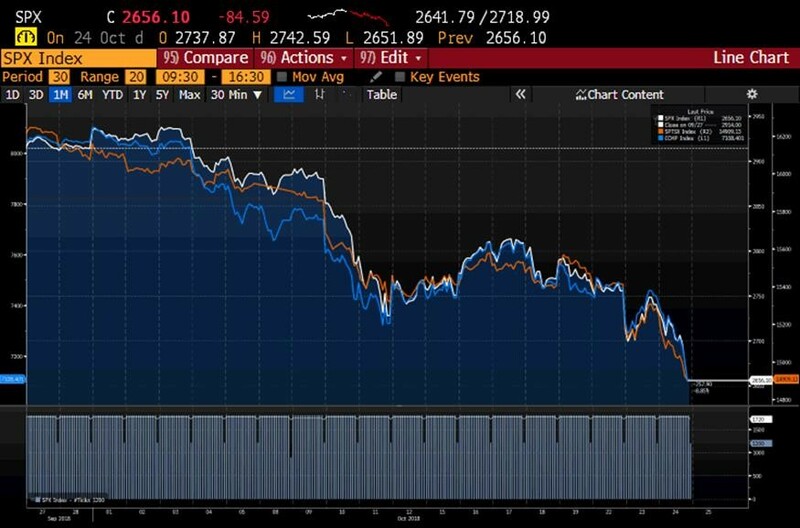 So far, we’re down nearly between 8-11% on the indices from the highs and close to 10% for October. 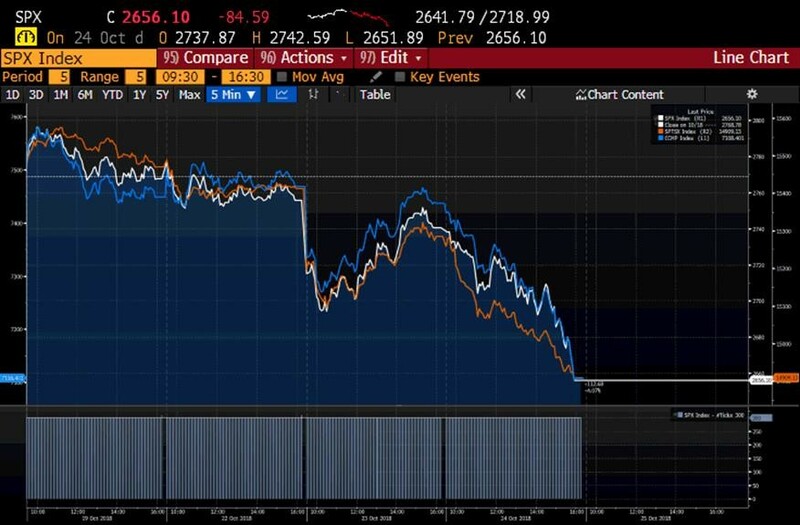 Below is the S&P TSX, S&P 500 and Nasdaq, no mercy in any, all are down roughly 8%. Here, the same three indices over the last 5 days, down 5%, and very unfortunately, and its kind of hard to see, we almost had an intraday reversal Tuesday, where you start the day low and end positive, those are always great signs of strength, but it failed and then yesterday we gave everything back to close at the lows, approaching negative 10% total correction. Here is a bit of what we have done recently to take advantage of this dip and ideally swing strongly out the other side. In August, we invested structural cash in treasuries, ensuring plenty of cash to navigate a period like this. In September, an arbitrary stock came into our buy range and we dipped a toe in, as we like the company. In early October, when the market started to show signs of weakness we took a large profit in a winner to increase cash and net out the arbitrary stock purchase to keep cash even. October started to lose its grip, we filled out our arbitrary stock buy, and just yesterday added a new position in a promising stock, deploying about 3% cash, keeping cash balances comfortably in the teens. In the last major bull market, after back to back positive years, its pretty normal to have a negative year. 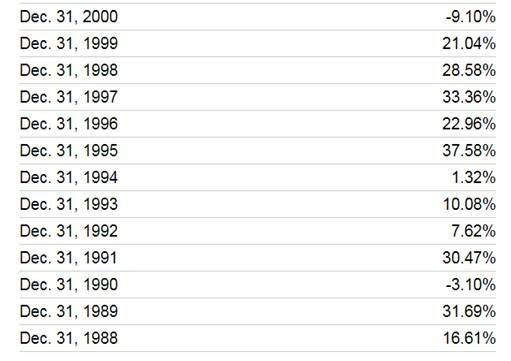 If you look at 1988-89, you see 1990 was rough. 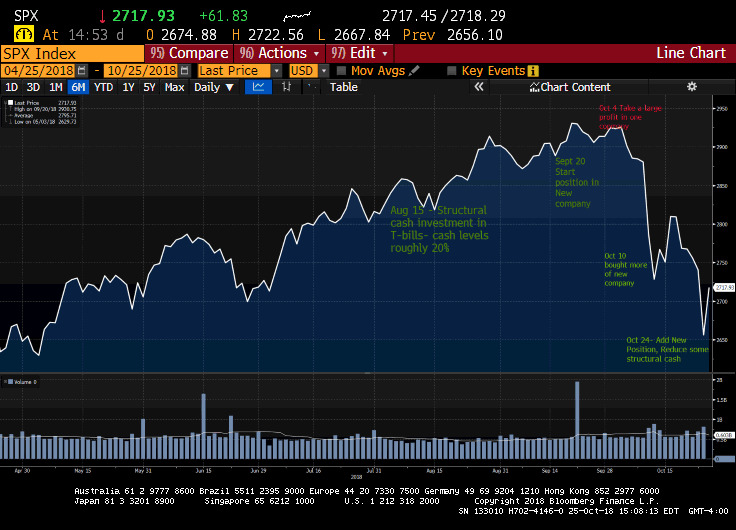 We think the major market is intact, but markets speak for themselves here. Happy to discuss any thoughts or ideas. For younger investors, this is an opportunity to add to your savings and for older investors, you won’t need to dust off your resumes, we have cash to last years.